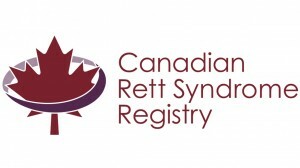 Welcome to the Canadian Rett Syndrome Registry. Thank you for considering having your family join the registry. Below is some general information about the registry. The Canadian Rett Syndrome Registry is a national database for individuals diagnosed with Rett Syndrome. The registry aims to enrol all living Canadian residents diagnosed with Rett Syndrome. Unfortunately at this time the registry will not collect information on people with Rett Syndrome who have passed away.The registry is a critical step that will organize the Canadian Rett Syndrome population to attract more research opportunities to Canada with a special focus on clinical trials of potential new treatments. Researchers studying Rett Syndrome need good information to understand how the disease affects people. Scientists who want to start research studies, including those testing new treatments, can use the registry to find people who are eligible to participate in these studies. This helps to reduce study costs and makes it easier for eligible participants to find these important studies.The registry will serve to improve the quality of life of people affected by Rett Syndrome by enabling research into new and improved treatments and by promoting up-to-date and consistent care across Canada. It will help to locate people in Canada affected by Rett Syndrome who are interested in participating in research opportunities. By clicking the link below you will access the Canadian Rett Syndrome Registry’s secure website where information for the registry is collected. Before you officially join the registry, detailed information about the registry will be provided for your review. After reviewing the information you will be asked to provide your consent to join the registry. Your participation is voluntary and you may choose to withdraw from the registry at any time. Copyright © 2019 Canadian Rett Syndrome Registry. All rights reserved.